Advocates say public-owned internet could increase competition, lower rates, protect public access. Last week the Multnomah County Board of Commissioners approved what amounted to a fairly routine budget, with one exception — tabbing $150,000 to explore how the region could set up municipal high-speed Internet. The goal, pushed by activists calling themselves Municipal Broadband PDX, is to bring down rates charged by large Internet service providers like Comcast, which operates under the name Xfinity in Portland. Instead of concentrating market power in regional monopolies or oligopolies, companies would compete for customers over the pubicly owned Internet. The activists say their push has gathered momentum since last year, when the Federal Communications Commission eliminated Obama-era rules governing "net neutrality," which prevented Internet service providers, or ISPs, from charging more for certain kinds of Internet content. 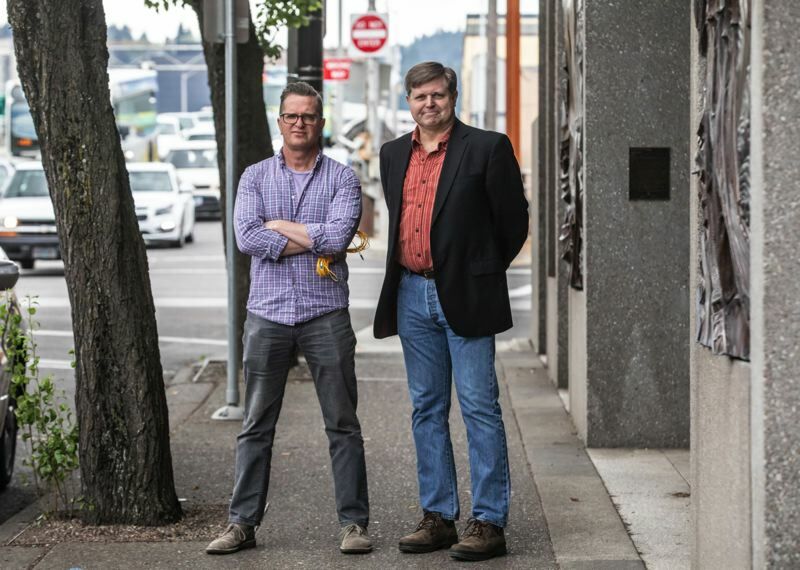 The Portland-based group says treating Internet access like a public utility, similar to water or sewer, would help bridge the "digital divide" between rich and poor and ensure low-income kids have the high-speed access they need to do homework. Michael Hanna, one of the organizers of the municipal high-speed push, says "30 percent of low-income households in the Portland metro area lack broadband access." That's the argument that resonated with Multnomah County Commissioner Sharon Meieran, who pushed the budget amendment to fund the broadband study with backing from Chair Deborah Kafoury. "I look at it as a basic equality and inclusion issue," Meieran said, adding that Internet access should not be denied to less-affluent children due to cost. "I see it with my kids being able to do homework, with having the opportunities there." A publicly owned system also could be a "great economic driver in the region," she said. Meieran and the activists hope that the city of Portland and other cities in the area join in funding the study, to ensure it is thorough and to show broad-based support. Other local governments in Oregon and across the country have long since embraced the push. Clackamas County has installed hundreds of miles of broadband. Hillsboro hopes to have the first round of municipal Internet installed by next year. Chattanooga, Tennessee, has gained widespread publicity for building a municipal network that offers some of the fastest Internet speeds in the world. "All of the West Coast cities are exploring this," said Russell Senior, another of the lead activists. Still, organizers expect a fight, saying Portland would be the largest city thus far to make Internet access a public utility. "There's no question about it ... we expect the monopoly ISPs to come at us very hard," Hanna said. "This is a direct threat to their profits." Last November, the city of Fort Collins, Colorado, won a broadband fight at the ballot despite being outspent 60 to 1 in campaign funds by the Internet companies, $15,000 versus more than $900,000. A study two years ago found that building municipal broadband in Seattle would cost $463 million to $630 million. A 2007 study in Portland came up with a similar number. Activists say a nonprofit would sell municipal-backed bonds to be paid back over time. "It would pay for itself," Hanna said. They also hope to take their fight national. In May, they registered a new nonprofit, the Municipal Broadband Coalition of America, out of Senior's Northeast Portland house. The local law firm Ater Wynne is their registered agent. Hanna contends the U.S. is decades behind some other countries in Internet access, affecting economic competitiveness. He said local folks need to provide the leadership that Washington, D.C., is not. "There's really national momentum right now, and we want to facilitate the buildout of digital infrastructure for the 21st century."